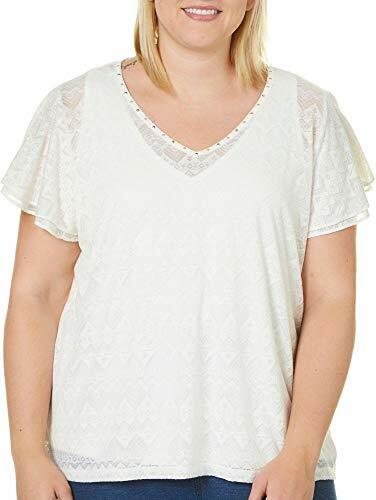 Wear your style on your sleeves with this plus size mineral washed top. Plus size top. V-neckline with ties. Hardware detail. Short sleeves. Rayon/spandex. Machine wash. Imported. Approx. 29 inches long.